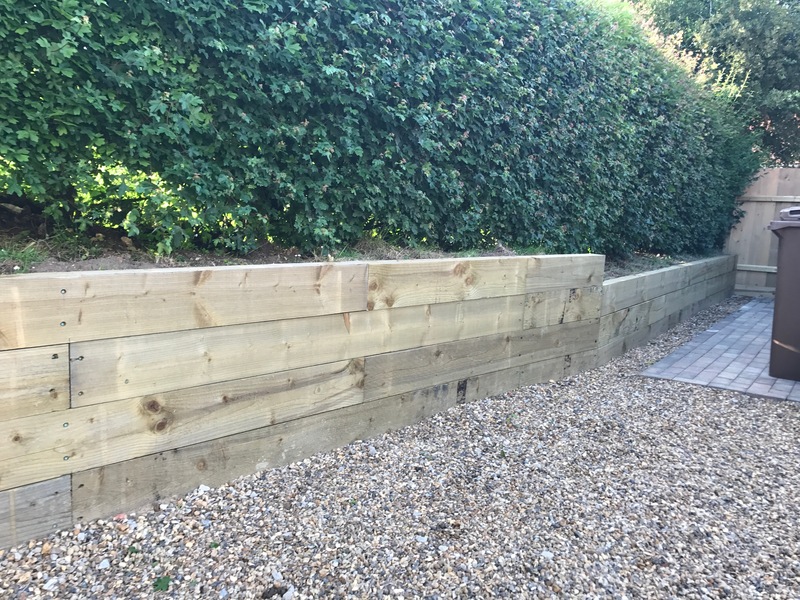 Saxon Fencing and Landscaping offer a variety of services. These include laying driveways, pathways and patios, building retaining walls, installing raised beds and out buildings. If you need a job doing in your garden, there is a strong chance that we will be able to assist you. See our full range of service below. Here at Saxon Fencing and Landscaping, we can create raised beds for your garden. 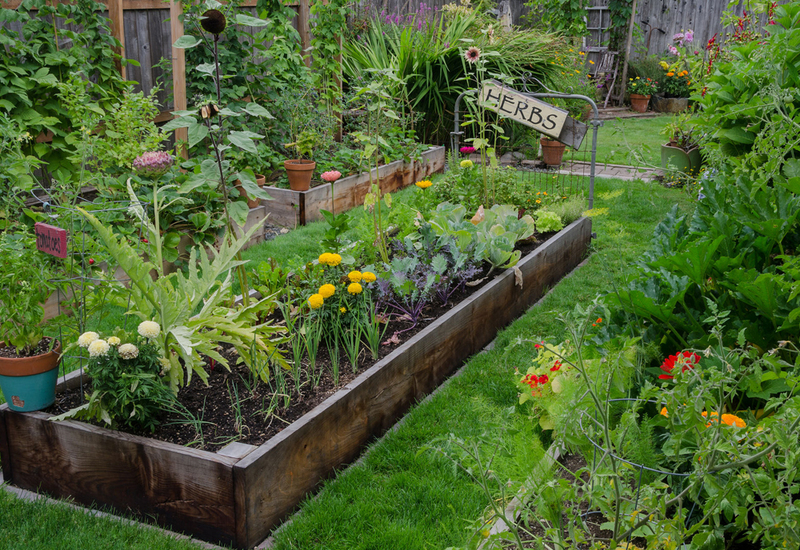 A raised bed can add interest to your garden, and be a good way of separating your vegetable patch into manageable areas. A popular method is to use railway sleepers, which are sturdy and long lasting and add a bit of rustic charm to your garden. 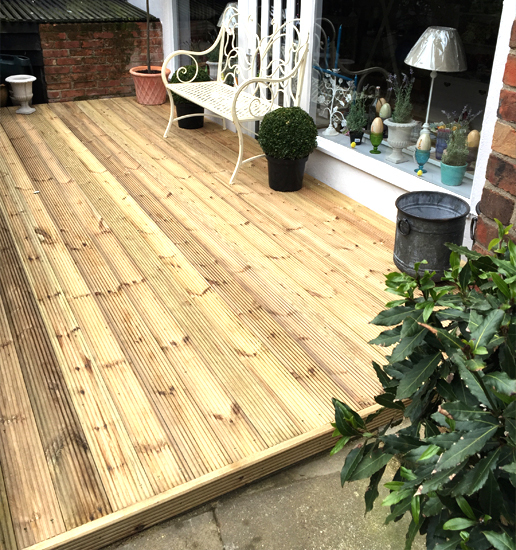 Decking is ideal put down straight over the top of an existing patio or to be put in to an area that just needs raising up. You have the option of adding steps for ease of access. it is generally cheaper than laying a patio and will last for a long time as long as the maintenance is kept on top of. 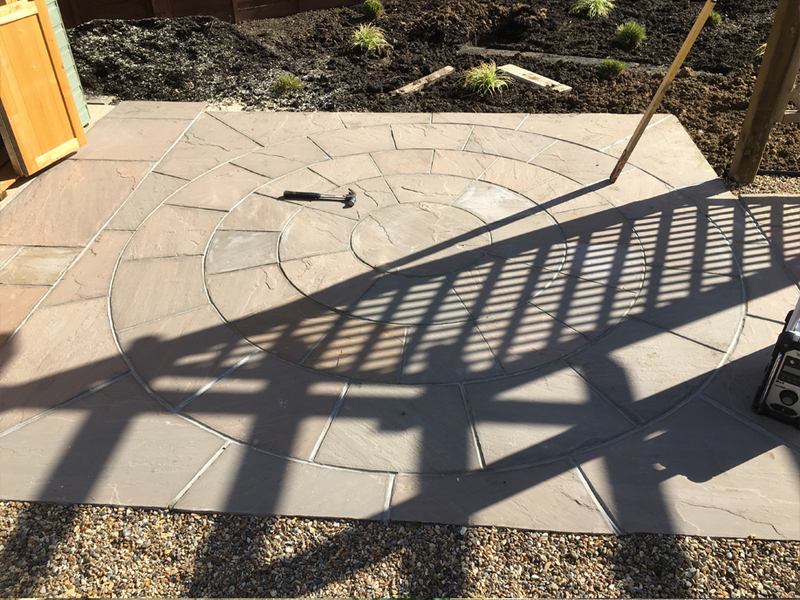 Saxon Fencing & Landscaping can lay down a patio. Paving slabs / paving stones are a popular method, which both come in a variety of different finishes such as marble, limestone, slate, sandstone, granite, concrete and natural stone. Patios allow you to create a unique and permanent extension of your living space in your garden. You could have a pattern such as a circle, wave, quadrangle or loop. Get in touch for a no obligation quotation. We can build you a retaining wall, which is a structure that holds or retains soil behind it. There are many types of materials that can be used to create retaining walls like concrete blocks, poured concrete, treated timbers, rocks or boulders. Please ask for advice on which may be the most suitable solution to your problem. 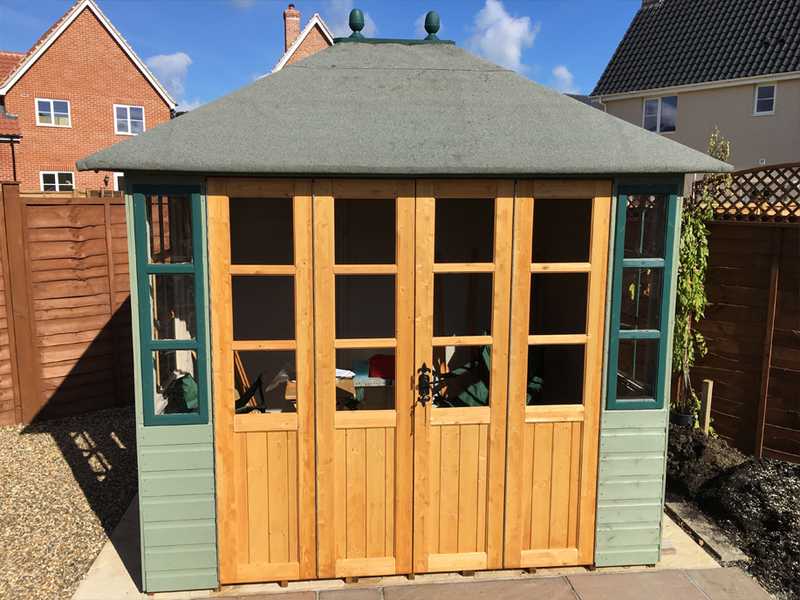 Saxon Fencing and Landscaping can build you a custom outbuilding or summer house. This also includes log stores and garden sheds. Choose from a variety of different finishes and treatments to prolong the life of your investment. 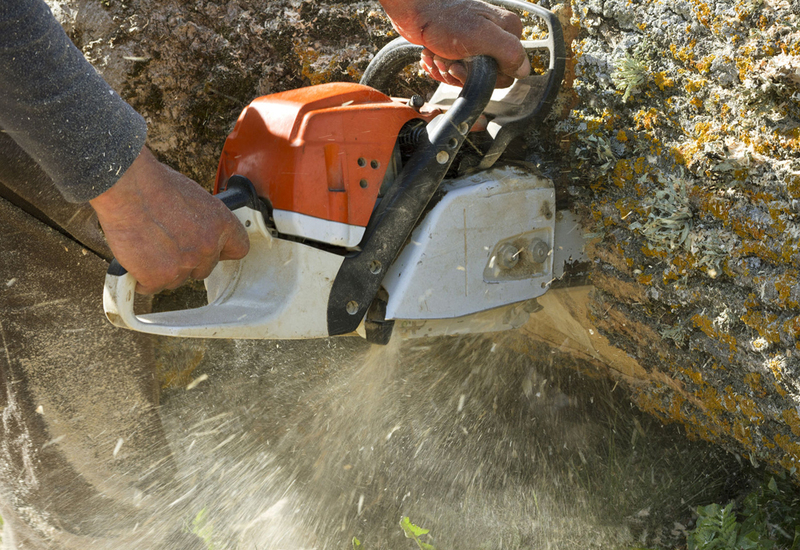 Tree services offered include tree pruning, felling, pollarding, crown lifting, reduction and thinning. We also offer deadwood and stump removal. We can also plant trees and hedges. We offer general garden clearance which includes grass cutting, hedge trimming and tree clearance. A good driveway can add to the value of your home because first impressions count! Saxon Fencing and Landscaping can lay you a bespoke driveway. Just let us know what you require and we will do all the hard work. Pathways can be a great way of adding visual interest and marking out safe routes through your garden. There are many different styles available, with varying costs, and different amounts of maintenance involved in their up keep. Brick and stone are more durable, whereas gravel can be an inexpensive alternative. You could choose stepping stones for added charm or mosaic. We can offer advice on which best suits your home. Please get in touch for a no obligation quotation. 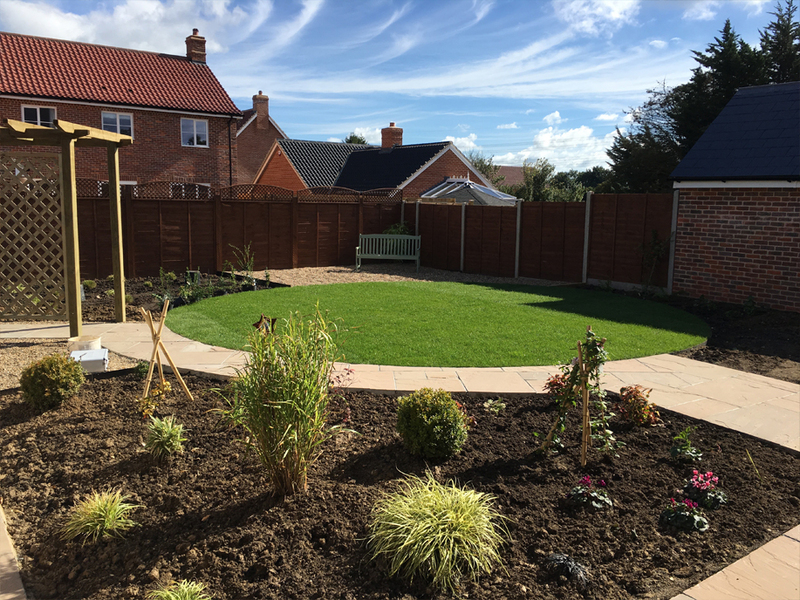 Saxon Fencing & Landscaping provide a turfing service from start to finish. They will excavate the area, level it off and then lay down fresh, new turf. We can also provide a grass cutting service if you require it. 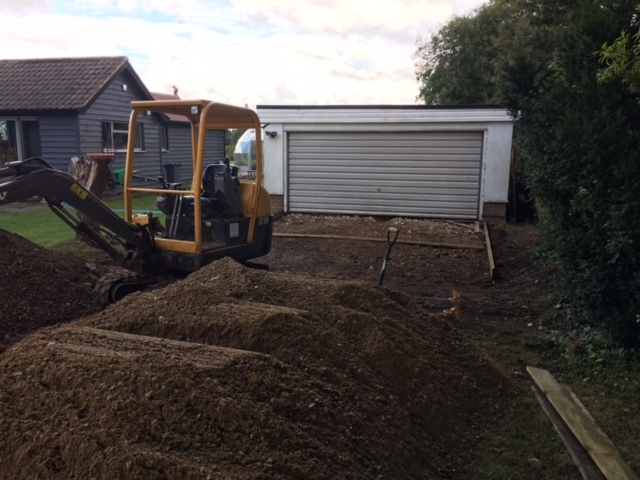 Here at Saxon Fencing and Landscaping, we provide general digger work such as ditch clearing, grading off a bit of land and trenching. Don’t hesitate to contact us to discuss your project. Saxon Fencing & Landscaping offer a free quotation service.